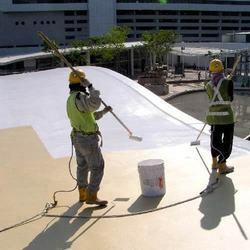 Providing you the best range of water proofing coating, acrylic waterproof coating, terrace waterproof coating, waterproof coating, water based floor coating service and rcc waterproofing with effective & timely delivery. Owing to our technical prowess, we have surpassed the competition by manufacturing and supplying high quality Water Proofing Coating. 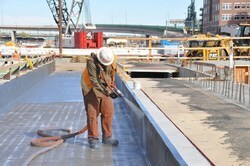 Specially engineered for seeping walls and roofs the offered coatings are best suited for below and above grade water proofing applications. We manufacture and also export a wide range of these waters based Acrylic Waterproof Coating which are fabricated using high quality raw material and with latest technology. Our products are flexible, water resistant coating suitable for waterproofing systems and roof sealing used in conjunction with membranes. 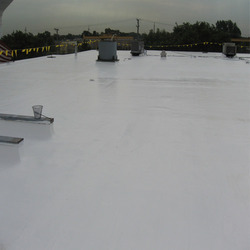 We are highly engaged in offering a huge range of Terrace Waterproof Coating service to our valuable clients. Our service helps in compelling and vibrant showcasing of the company attributes to the entire market. Our range of these waterproof coatings is widely used in newly constructing buildings such as shopping complexes, residential buildings. Banking on years of understanding of this domain, we present patrons with the premium quality of Waterproof Coating. 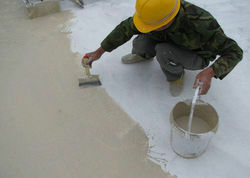 Used on vertical surface and sloping roofs as waterproof coating applications, the Waterproof Coating is processed by using ultra-modern machinery. Available with us in desired shades, the quality of the Waterproof Coating is always maintained at our end. We offer to our clients superior grade of Water Based Floor Coating Service that are extensively used in the light duty floor coatings. 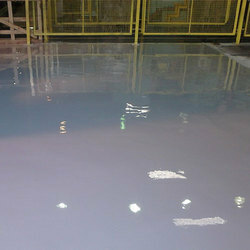 Known for providing better durability, epoxy floor coatings are used in industries like pharmaceutical, electrical electronic and many more.